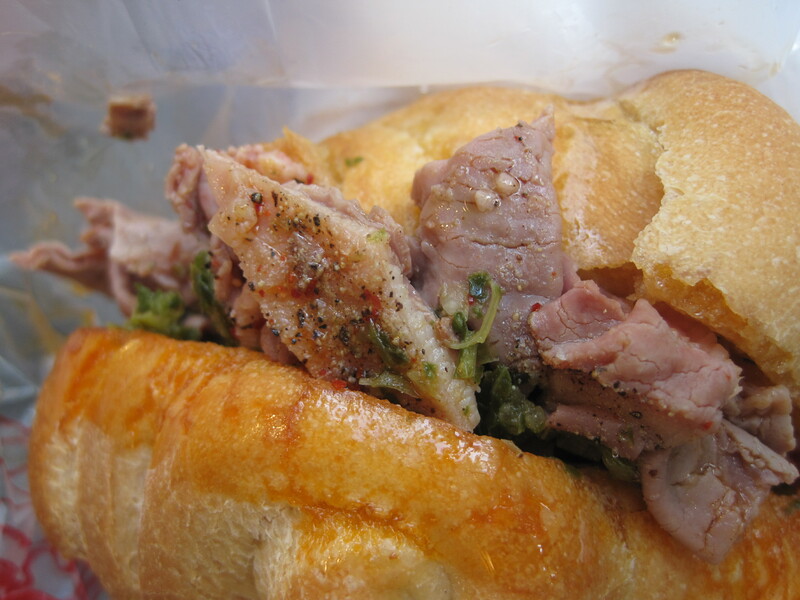 The idea was fairly straightforward: Grab a panino, sandwich then catch the 5:30 movie. 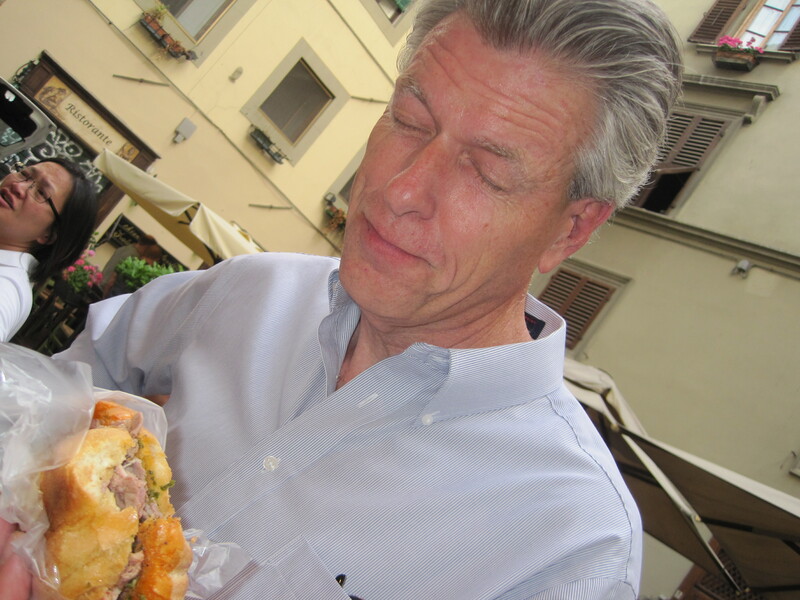 Then after the movie, we planned to get a primo, first course dish, such as pasta just before making the rounds to all of Florence’s great museums since it was “Art Tuesday,” from 7-11 pm. The three of us were excited and couldn’t wait to see how the evening would unfold! 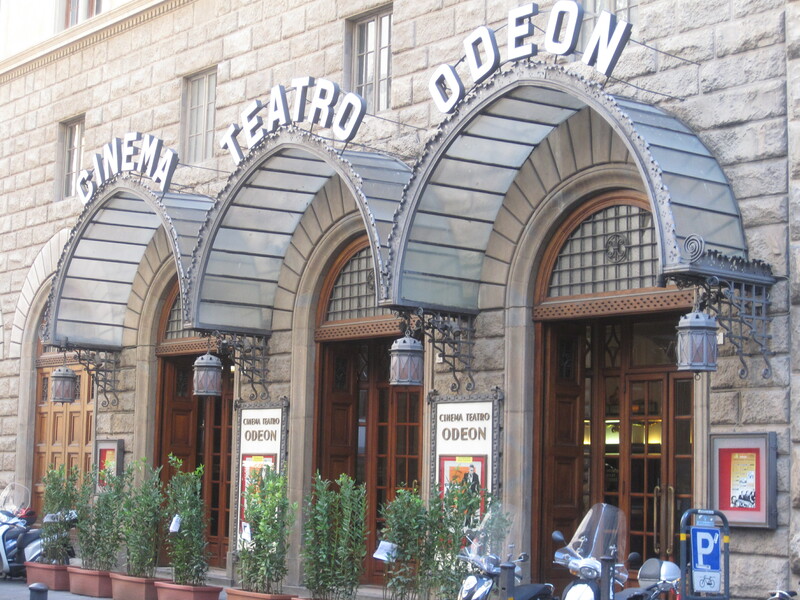 As we entered the Odeon, our friend Patrice, who works there, became wide-eyed upon seeing us. They had shifted the movie showing to the next day without letting anyone know. Oops! No big deal. This has happened before, so we’ve learned how to roll with it. Again, with time on our hands we needed a creative alternative, so we asked her if she knew of another Lampredotto/Trippa stand close by that might still be open. 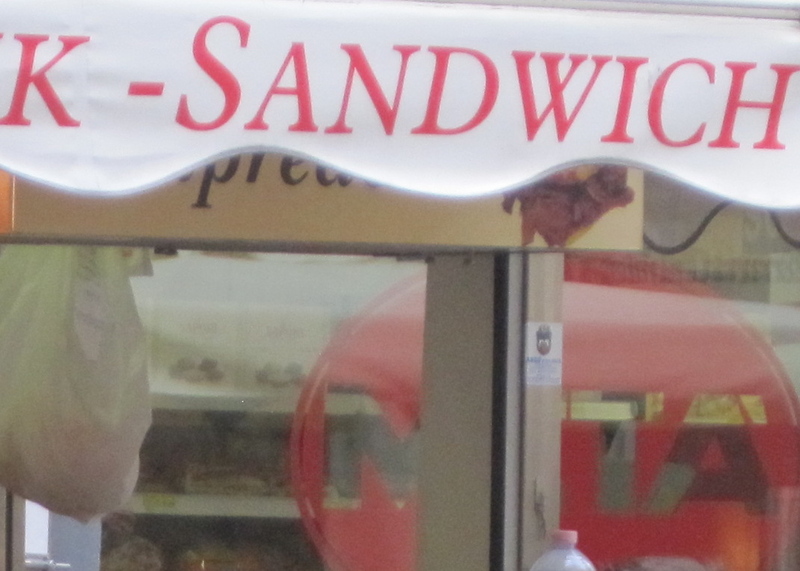 She said, “Penso di sì, I think so.” She informed us that just down the street and around the corner at Piazza de Cimatori is a sandwich stand that is always open late. Great news! Or was it? The dare was back on. On our way to the sandwich stand, we noticed cameras and a boom microphone in one of the side streets. A small crowd had formed just outside the Pizzeria Vesuvio, which had been overtaken by the cast of Jersey Shore. Vinnie, a cast member with leaflets in hand, was out hawking on the sidewalk. A dread had become reality. 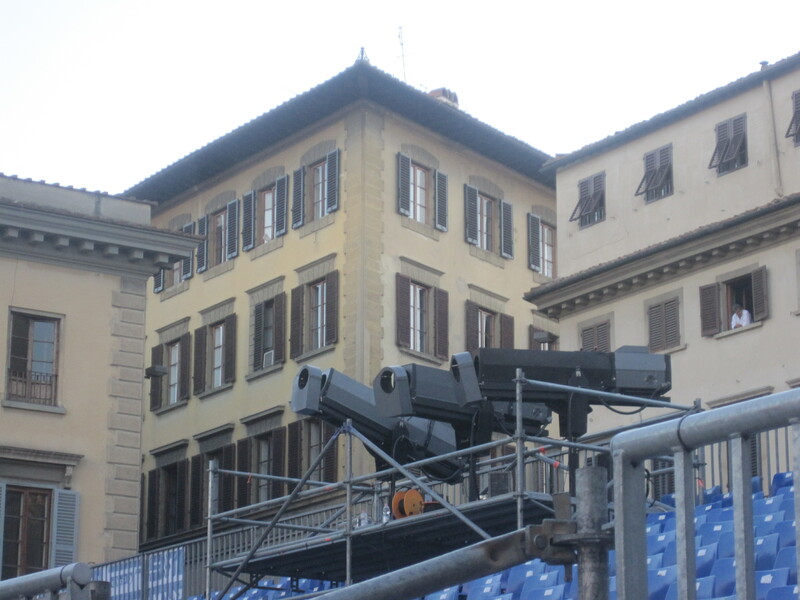 The recent arrival of the JS cast in Florence was not good news for us as you might have surmised from our previous post. We hoped that we wouldn’t cross paths with the group. Em snapped a fast pic to document the incident as we slithered by the body guards and camera crew on the narrow sidewalk. Yikes! Following our little panino break, we headed for the Uffizi to check out The Birth of Venus and The Primavera. Wow! As we approached the museum, we encountered something we hadn’t anticipated at this quiet evening open-house: a huge line! Not in the mood for a long wait, we headed on to our next stop, The Bargello. Surely it would be interesting at night. Florence has countless alternatives—all engaging and fantastic. By the time we arrived at the moody medieval Museo Bargello, it was about ten till 8 and the line should have been inside. But to our amazement, we saw a crowd gathered at the still-closed front door. Hmmm. After a 15-minute wait on the church steps across the street, the Bargello’s large wood doors opened, but only slightly. 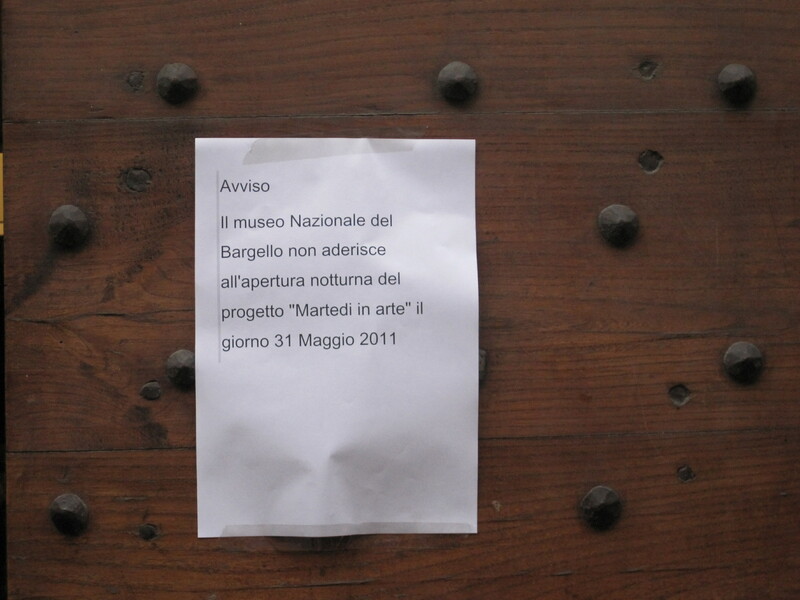 Two men came out: one to announce that the Bargello would NOT be open for Art Tuesday, and a second man who taped a sign on the door to announce their closure. Sorry folks. Oh well, at least we didn’t have to wait an hour to get the silly, disappointing news. In a strange sort-of way, we weren’t too surprised. As usual, the story is exaggerated a bit for dramatic effect. Not everything that evening was a bust. Amid our many stops and starts, we finally got in to see Casa Davanzati, a perfectly restored medieval palace; Michelangelo’s David at the Accademia; and the monk’s cells at Chiesa San Marco. Each was absolutely inspirational for us—just as we expected. It was really one of those perfect evenings—full of diversity, beauty, inspiration, history and even a few unexpected surprises thrown in for good measure. After all . . . what could be more Italian? 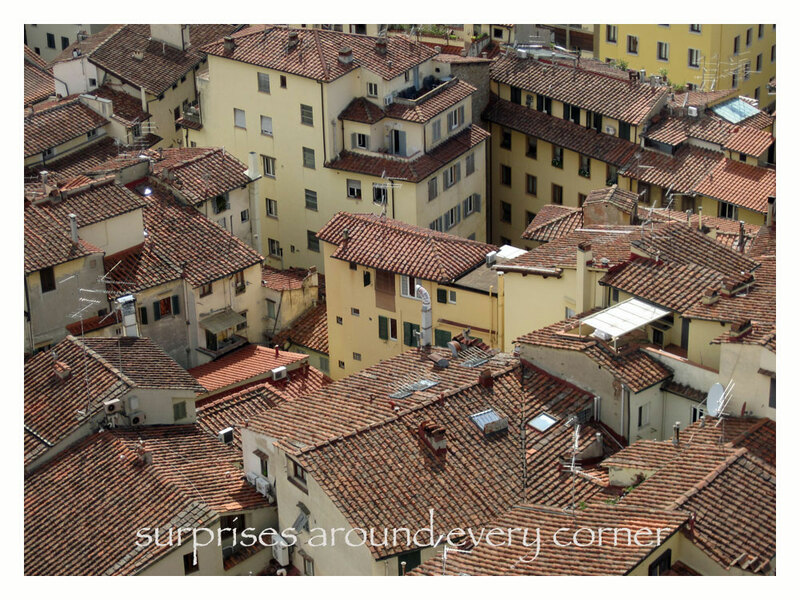 Note: You may also be interested in the other posts about Florence.